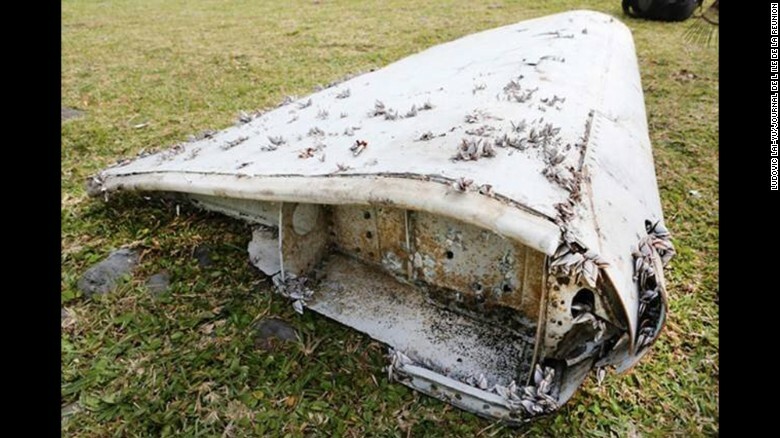 (P1) Nothing would be more encouraging for 239 families than to know that the piece of aircraft found on Reunion Island east of Madagascar comes from MH370 — the Boeing 777 that disappeared in March 2014, EN ROUTE from Kuala Lumpur to Beijing. The world wants to know. And as a 777 pilot, I want to know. (P2) But let’s all TAKE A DEEP BREATH and wait until we have absolute confirmation. (P3) Remember, the information provided at this OUTSET of the tragic event was sometimes wrong. (P4) What happened to MH370 is still very much under active investigation. It’s important that we allow the Malaysian accident investigation team to SCRUTINIZE the airplane DEBRIS. After all, the airplane belongs to its country. Regardless, when the French BEA (Bureau d’Enquêtes et d’Analyses) — the French government agency in charge of investigating aviation accidents — arrives on scene at Reunion Island, a French department in the western Indian Ocean where debris was found in the water, I have no doubt that they will quickly have an answer. The BEA is a well-RESPECTED organization. (P5) As for the airframe part itself: My initial GUT REACTION was skeptical. Why? From the photographs, the piece looked too BULKY to have been attached to a 777 wing. (P6) But if the piece of airframe debris just discovered is indeed part of a 777, then it belongs to MH370. Why? Because there have only been two other significant 777 accidents in the airplane’s 21-year history, and neither of those was over water. That’s not to say the accident investigation team shouldn’t maintain DUE DILIGENCE and match part and component numbers with appropriate records. (P7) Although discovering a definite piece of MH370 would be a TREMENDOUS discovery, it would also be only a small piece of the accident investigation JIGSAW PUZZLE. This piece of the puzzle would at least DISPEL the CONSPIRACY THEORY suggesting the airplane was flown to a remote terrorist-friendly nation. Examination could reveal some clues as to impact speed and/or impact angle with the water, but it would not be a complete picture. Finding more debris would be helpful to CORROBORATE such things. (P8) Finding debris that is related to MH370 would be a VALIDATION of the ASSUMPTIONS that the investigation team has used to define the search area. A discovery would certainly be a MORALE BOOSTER for the search crews, affirming that their MISSION is not IN VAIN. (P9) In addition, the world’s interest has been re-energized. With renewed interest, perhaps FUNDING will continue from current sources for the immediate future. (P10) Regardless, let’s all have some patience, as hard as this might be for the passengers’ loved ones. The investigation will continue in a METHODICAL process. Even though initial evidence points to the debris on Reunion Island as being a piece of MH370, it should be absolutely confirmed so there is no doubt. (P11) STAND BY for now. The disappearance of MH370 is one of the greatest mysteries in the history of aviation. Do you enjoy real-life or fictional mysteries? Do you have any fear of flying, or not at all? Strange events often give rise to many conspiracy theories. Do you take these seriously or not? What was the last plane flight that you took? Where were you traveling?